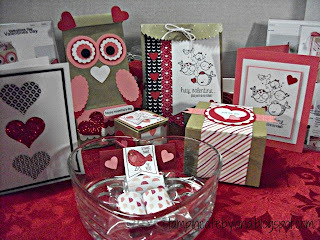 Here is a sneak peek at some of the projects we will be making at my Stampin'Up meets Pinterest Valentine Workshop this Saturday. Hope to see you there! It is going to be held at the Burnside Room at the Recreation Center in Great Bend, Ks this Saturday, January 17th, at 1:00 PM.